A Phase I clinical trial (IAVI W001) is testing a novel HIV vaccine candidate, BG505 SOSIP.664 gp140. The trial’s goals are to assess the candidate’s safety and to determine if vaccination induces the human immune system to produce proteins known as neutralizing antibodies (NAbs), according to the International AIDS Vaccine Initiative (IAVI). BG505 SOSIP.664 gp140 is based on the HIV envelope protein (Env), which is shaped like a 3-pronged spike. This configuration, known as a trimer, is a target for antibodies produced by the human immune system after infection. Some of these antibodies are able to block viral entry into cells. The IAVI WOO1 study is one of the first clinical trials of a native-like Env trimer and the first time that this particular trimer is being evaluated in humans. Previous vaccine trials involving Env concepts have tested the immunogenicity of only a portion of the Env structure or proteins that do not resemble the native structure. In animal testing, vaccination with BG505 SOSIP.664 gp140 caused B cells to produce antibodies that neutralized the virus type from which the engineered immunogen was derived. Investigators hope to see a similar specific response in humans. The IAVI W001 trial will enroll about 60 healthy adult volunteers in Boston, Massachusetts, Nairobi, Kenya, and Seattle, Washington. Participants will receive 3 administrations of BG505 SOSIP.664 gp140 formulated with an AS01B adjuvant developed by GSK or a placebo. The vaccine candidate is administered through intramuscular injection. Teams at the trial locations will monitor participants to assess the vaccine candidate’s safety and ability to elicit immune system responses. 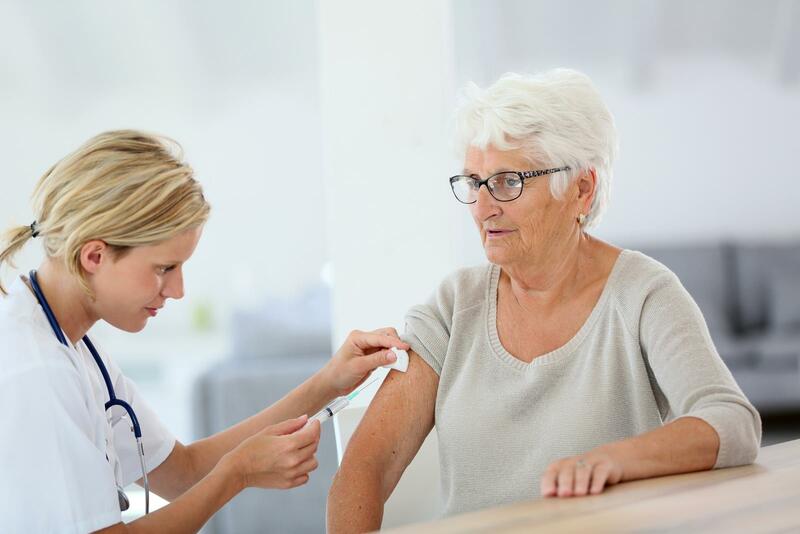 It is not likely that vaccination with BG505 SOSIP.664 gp140 on its own will directly lead to the production of bNAbs, but investigators are hoping to achieve a better understanding of what is required to induce bNAb responses, according to the IAVI. “Every HIV vaccine trial generates new information that brings the international community closer to the discovery of a safe, effective HIV vaccine. We and our partners are excited about the new candidate and this new approach as we begin this trial,” Professor Omu Anzala, MBChB, PhD, of the University of Nairobi and the Kenya AIDS Vaccine Initiative, and principal investigator at the Nairobi site, said in a statement. Results of the IAVI W001 trial are expected in 2020, and its data will likely contribute to the development of the vaccine candidate for future trials, IAVI officials said. “This is a critical trial that has broad implications for defining the path to generating broadly neutralizing antibodies that will be needed for a fully protective vaccine,” Bruce D. Walker, MD, trial collaborator at the W001 Boston trial site and director of the Ragon Institute of Massachusetts General Hospital, Massachusetts Institute of Technology, and Harvard in Cambridge, Massachusetts, said in a statement. The BG505 SOSIP.664 gp140 trimer was engineered by a team directed by John P. Moore, PhD, at the Weill Cornell Medical College in New York, New York; Rogier Sanders, PhD, now at the University of Amsterdam Academic Medical Center in the Netherlands; and Andrew B. Ward, PhD, and Ian A. Wilson, DPhil, at Scripps Research in La Jolla, California. The outcome of their work was an important advance in stabilizing the highly fragile Env protein in a native-like configuration, according to IAVI. The IAVI W001 clinical trial is sponsored by IAVI and funded by the United States Agency for International Development and the Dutch government through the Dutch Ministry of Foreign Trade & Development Cooperation. Additional funding is provided by the Bill & Melinda Gates Foundation in Seattle, the Fred Hutchinson Cancer Research Center in Seattle, the Ragon Institute, and the Seattle HIV Vaccine Trials Unit. International AIDS Vaccine Initiative. IAVI announces first-in-human clinical trial of native-like HIV envelope vaccine candidate [news release]. New York, NY; March 27, 2019: IAVI. businesswire.com/news/home/20190327005097/en. Accessed March 29, 2019.